For many people, learning to drive is a huge stepping stone in their life. It allows you freedom and the accessibility to go anywhere at any time. Having a driving license can be extremely helpful for your employment, social life and family life. 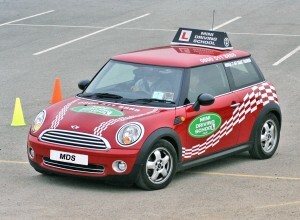 Here at Mini Driving School, we can teach you all of the essential skills and knowledge needed to pass your test on your first try. We work with a large range of people from young new drivers to older drivers wanting to refine their skill. We are fully experienced in teaching all types of drivers and want to help you keep on track with your lessons, giving you the most out of the money and time you spend learning how to drive. One of our main goals is to create confident and responsible drivers that will keep the roads safe. To begin your learning journey you can learn to drive in Redhill by calling 0800 511 8888. Our lessons in Redhill will allow you to drive on a large mix of main roads as well as country lanes to give you a full insight into what you might expect from driving all over the country. We will also keep a close track of your progress, which means we can help improve your driving step by step. Our instructors in Redhill have many years of experience behind them, meaning they are well versed in all the road etiquettes and rules and are prepared for every situation. 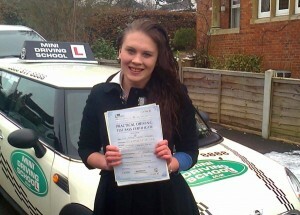 Our driving lessons in Redhill have great offers and are very competitive with other driving schools in the area. At the Mini Driving School, we have a five hour introductory offer for just £110, to help you get started with learning to drive. Following this, we then have a £25 per hour rate which you could upgrade to 1.5 hours for just an extra £13 or 2 hours at an overall price of £50. When you book with us, you can book a 10 hour block on a regular basis (e.g. the same time every week) for £230. If you have already passed your test – whether it has been a few weeks, a few years or a few decades, you can still have driving lessons with us to help you keep on top of your driving and refine your driving skills. You can take the Pass Pluss course if this is the case for you, this course allows you to build your knowledge even more and make you even safer whilst on the road. The Pass Plus driving lessons for people in Redhill are composed of six different modules which will help you improve rural driving, all-weather driving and using dual carriageways. The Pass Plus course is most popular for its motorway driving module as learners are not allowed to use the motorway and therefore cannot learn it. The course costs around £175.